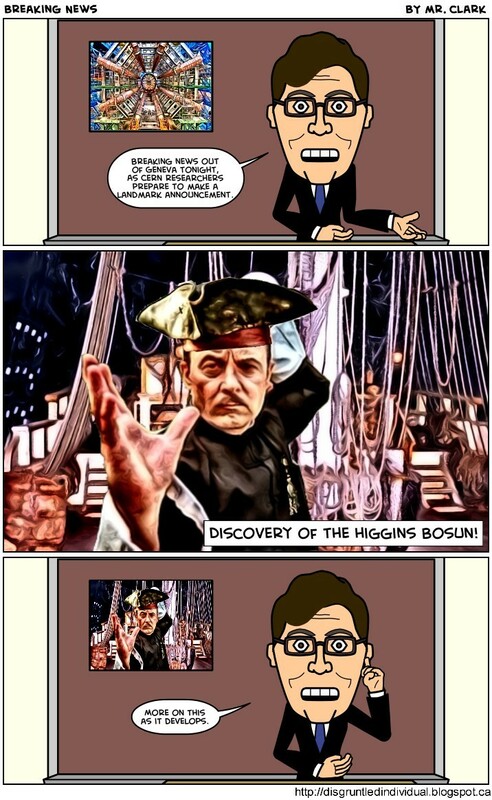 Being able to make a pun about particle physics, Magnum P.I., and pirates in a single panel? Science, is there anything you can't do? Whenever I hear 'Higgs boson', this is what I think of. Jon Higgins, as a pirate. Tiny, elementary Higgins', swashbuckling mass into protons.